The DS68U is the latest fanless slim PC equipped with Intel® Celeron® 3855U dual-core processor and based on 1.3L body design. With built-in Intel® HD Graphics, it provides ample performance for playback 4K content. With support for dual-screens via HDMI and VGA video outputs, it is designed for analog signage market use. 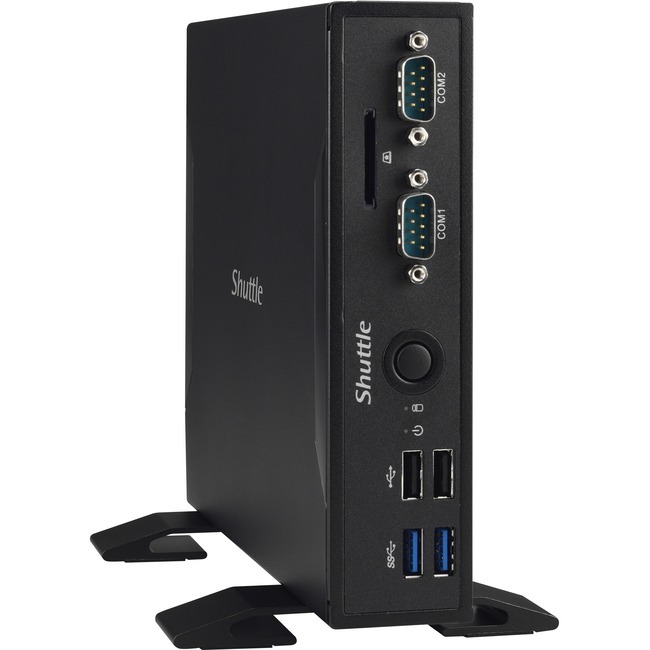 The DS68U is VESA mount ready with 24/7 certification, ideally suited for commercial applications such as digital signage, kiosk, thin client, office PC, and multimedia. The DS68U provides VGA and HDMI video outputs to support dual independent displays. Use an adapter to convert HDMI into DVI interface and DisplayPort into HDMI or DVI interface for diversified signal selections. The slim DS68U meets international VESA mounting standards and is capable of mounting to the rear of a LCD monitor or a TV.